The magical voices and talent of Broadway stars return to the Katz JCC stage for the seventh annual production of Broadway Live on Monday, June 6 at 7 p.m. 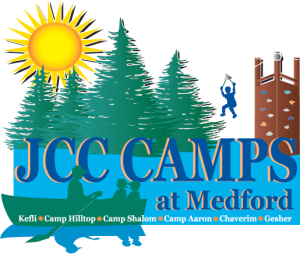 Proceeds raised from the evening will benefit the JCC Camps at Medford financial assistance fund, the Open Hearts/Open Doors special needs program at camp, and special needs programming at the Katz JCC and in the community. Funds raised will be matched by the Raymond and Gertrude Saltzman Foundation. Ben Lipitz, a Cherry Hill native and former JCC Camps at Medford camper and staff member, is returning once again to headline and produce Broadway Live. Lipitz, who plays the role of Pumbaa in the national tour of Disney’s The Lion King, has recruited an impressive roster of professional Broadway actors to perform and share their love of live theatre. The Broadway Live cast will perform numbers from some of theatre’s best-known productions which in the past have included Annie, Fiddler on the Roof, Les Miserables and The Phantom of the Opera. To purchase general admission, student and patron tickets, please contact Pam Parker, camp registrar at pparker@jfedsnj.org or (856) 424–4444 ext. 1238.